Can It Be Used For Alternative Healing? I am interested in the placebo effect for its powerful and well documented potential to activate the body's ability for natural healing. 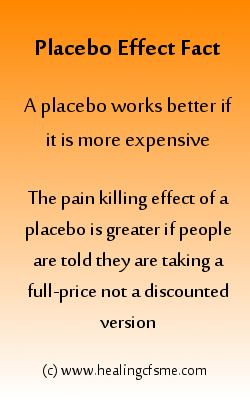 A placebo is a substance that has no medicinal quality. It is often made of chalk. When a trial for a treatment is undergone, a group of volunteers tests the treatment. The volunteers are split into 2 groups. One group is given the real treatment for the illness– usually a drug. The other group, called the control group, is given a placebo. Neither group knows what they have been given and are likely to assume they have been given the real treatment on offer for the illness or condition in question. Time and time again it is observed that a proportion of the people who take the placebo show some level of improvement. An average of 35% of the volunteers who will show this improvement. This is the placebo effect. With certain illnesses, including heart disease and Parkinson’s Disease, the placebo's power to heal is particularly strong and is close to the improvement amongst the group receiving the tested treatment. The self healing effect of the placebo clearly demonstrates that we can influence our immune system through our beliefs. This is not a controversial statement. The power of a placebo is so universally accepted in science that every experiment is designed to include a group that take a placebo. A random control trial was done to test a chemotherapy treatment. One group was given the chemotherapy. The other was given no chemotherapy although they believed they had been given it. 40% of these people lost most of their body hair. 40%! And they had had no chemotherapy whatsoever. Amazing eh! Simply because they had a powerful expectation that they would experience hair loss. How does a placebo work to bring healing? This is an area for greater research. But we know it is not to do with a decision of the conscious mind. If it was, everyone who is ill would simply choose to believe they were well and it would happen. 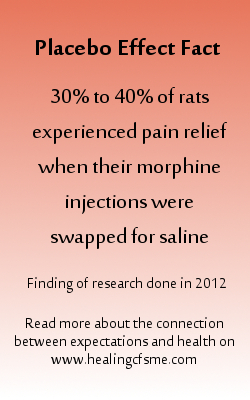 Also, research has shown that even when someone knows they are taking a placebo they can experience healing. 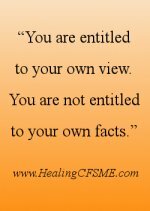 To say that someone who is ill wants to be ill is simplistic and insulting to those suffering illness. Phil Parker points out in his book An Introduction To The Lightning Process - the complete strategy for success that if you had asked any of these people to make their hair fall out, they could not have done so. They did not do it through conscious belief but through the power of subconscious belief. How to Use The Placebo Effect To Bring Self Healing? - How To Change The Subconscious Mind? So where does that leave those of us who deliberately wish to influence the self healing power of our body? Consciously you want to get well. Why else would you have made it this far in this article? How do you make it so that subconsciously you choose health? How do you align your conscious and subconscious mind? How do you use a placebo to positively affect your health? How do you find the placebo that is right for you? Hypnotherapy is an alternative healing method which can help you to access and influence the subconscious mind. Neurolinguistic programming does the same, as does the Lightning Process. Right now, you are visiting this website of someone who had such severe Chronic Fatigue Syndrome that I could not walk and had minimal speech for 14 years. Even by knowing that I experienced significant recovery, you are expanding your belief that healing is possible for you. Imagine if you knew lots of people who had recovered after a long time or after a very serious illness. Your expectation of healing would go up with each person you met. This information would have an impact on both your conscious and subconscious mind. If you want to raise your understanding of the power of the placebo, I highly recommend How Your Mind Can Heal Your Body by David Hamilton. I am reading this book at the time of writing. David Hamilton, PhD work involved researching and testing heart medicines. In one trial he saw 80% of the volunteers improve on the treatment, 75% improve on the placebo. He became more and more fascinated with the possibilities of people healing from placebos without the use of drugs. David’s book is full of research examples of the placebo effect, along with other examples of fascinating experiments in mind body healing. It's OK to believe so strongly that something has a certain effect that it leads your subconscious mind to bring it about. "Yet God Himself has protected everything He created by His laws. Everything that is not under them does not exist." 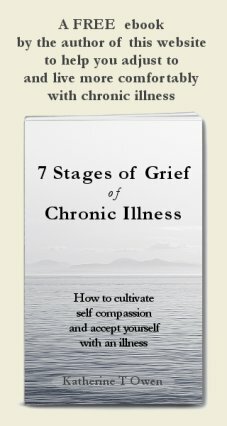 Chronic Fatigue Syndrome currently has no cure. This doesn't mean that people don't recover. Some people do. I am very interested in approaches that raise my expectation of healing and potentially activate the powerful self healing effect of a placebo. Read examples of research which shows the link between feelings and health (and thoughts and expectations). Move to read a healing meditation to activate self healing. Raise your expectation of self healing by reading books which demonstrate the connection between feelings, thoughts and healing. Click the previous link for a list of books which not only talk about the connection but provide scientific research to back it up. Though it goes under the category of spiritual rather than mind body healing, many people view prayer as a powerful way to shift our mind into a state which allows positive changes in our life to take place. Click for a prayer for Chronic Fatigue Syndrome research. Move to read about Psychoneuroimmunology PNI - the science of exploring feelings, expectations, thoughts and the body's capacity for self-harm and self-healing.